Steven Adler hopes to reunite with his former Guns N' Roses bandmates for a comeback album and world tour. At least according to his attorney. Pleading no contest to a charge of heroin possession in Los Angeles Superior Court on Friday, Adler is due to appear again on 12 December to determine whether he is eligible for drug treatment instead of jail. 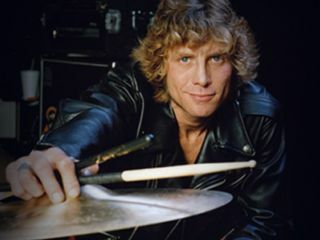 His attorney Barry Gerald Sands told Reuters: "When he gets sober they'll accept him into the band and then they'll do a comeback album and a world tour, that's the dream of Steven Adler." Adler was fired from Guns N' Roses in 1990 for drug problems. Which, when you think about it, is like being fired from the Chicago Bulls for having a basketball problem. Axl Rose finally releases Chinese Democracy on Sunday. Steven Adler is probably one of the only musicians in Los Angeles who hasn't played on it.